Panorama of Eastern Alps, seen from Grosser Arber, Bohmerwald, Germany. Distances in kilometres. Photo credit: Thomas May and Ritchie Sanden, 31 December 2008. DEM source: Alps 1"
The uploaded image was replaced in January 2009. 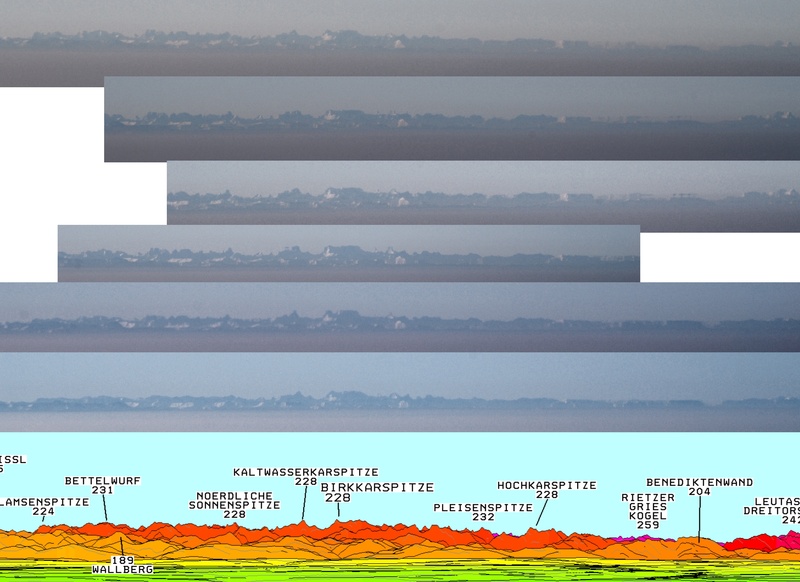 Enhanced effects of atmospheric refraction due to temperature inversion can be seen in some parts, especially between bearings 210 and 220. For more photographs of this effect, and other photographs from Grosser Arber, see below. Zillertaler. 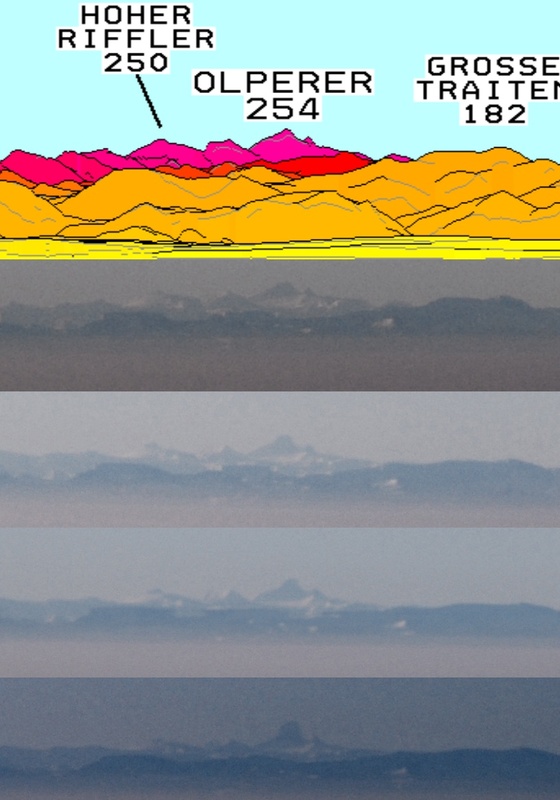 Note the special effect of refraction on the 254km (158 mile) view of Olperer. 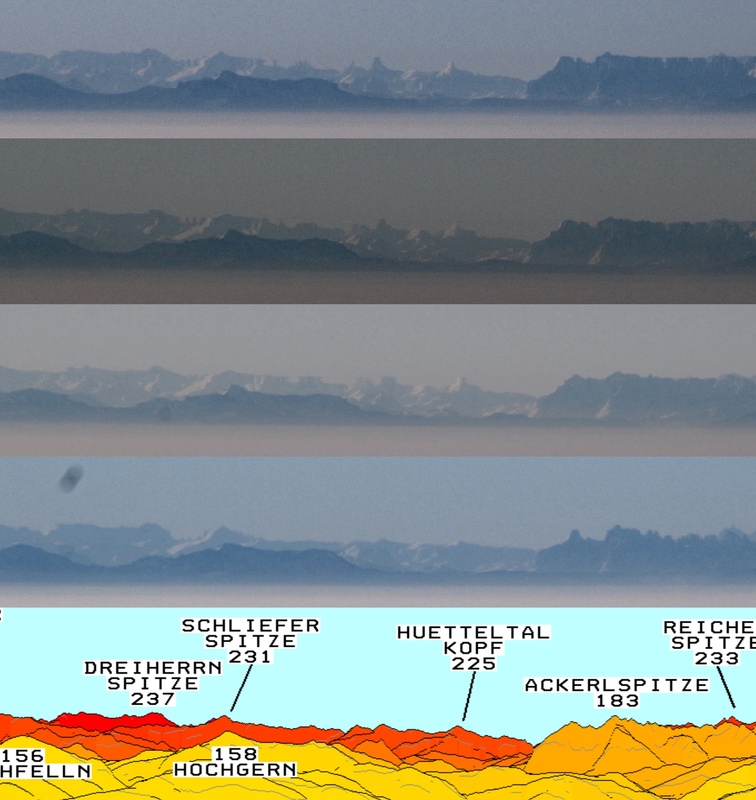 See a time sequence of images of this effect over Olperer and the Karwendel range.